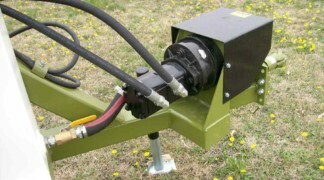 Kosch Company offers two models of the Trailblazer Hydro pitmanless double bar mower. 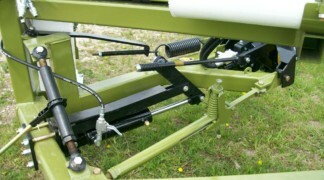 The MDP.HYD.16 has a 9-foot front sickle bar with a trailing 7-foot sickle bar. The MDP.HYD.18 has two 9-foot bars. 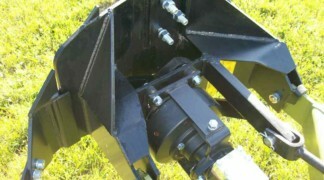 These units are engineered and manufactured to perform in rough uneven terrain that is common in native grass hay producing areas. 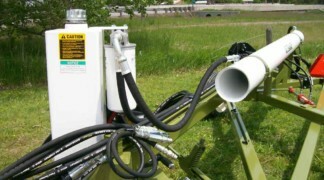 The pitmanless design gives extended maintenance-free field hours. Down time and maintenance costs are reduced by reduction in the number of moving parts. Rear bar vision is unobstructed with no cross over drive systems. 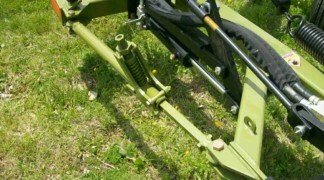 The dual hydraulic pump provides hydraulic power to each sickle bar. All PTO shafts have been eliminated. Heat build-up has been kept to a minimum with the use of a hydraulic cooler provided with each machine. Cutting knives are available with top serrated or under serrated sections to meet your cutting requirements. At the turn of the century Kosch Company is continuing to improve and develop a full line of sickle bar mowers, balehandlers, and double disc mowers. We work with a provider of a full line of skid steer and excavator attachments to market equipment that will cut, trim, and groom acreages, roadways, nurseries, orchards, waterways, and construction sites. Along with these products Kosch Company continues to provide parts and service to products produced since 1947.